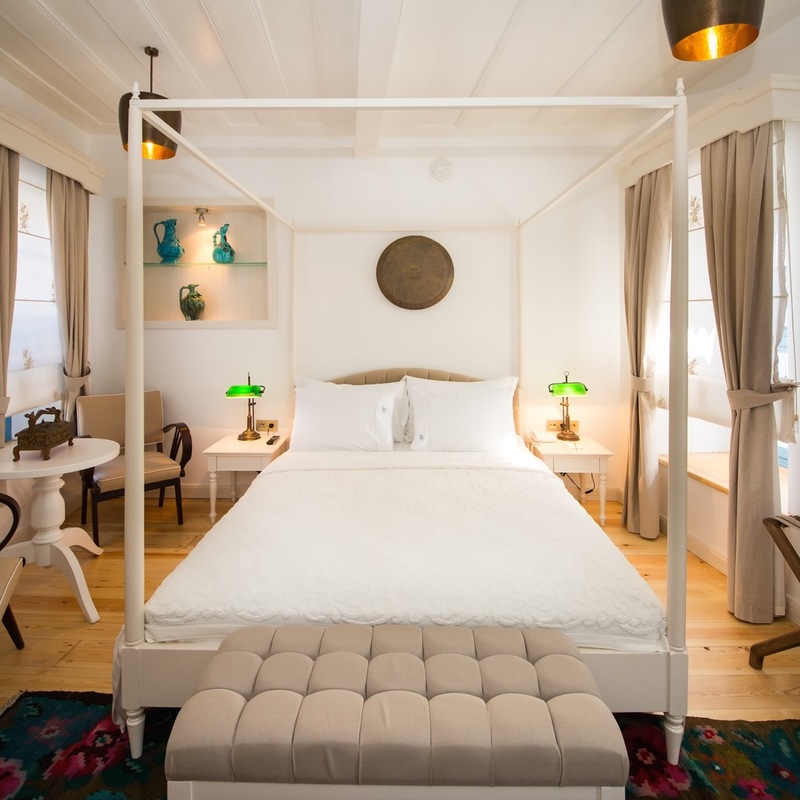 Not enough gets said about the Aegean side of Turkey, north of about Bodrum, but everything you love about coastal Greece applies in equal measure to Alaçatı. In fact, this picturesque seaside town was varyingly Greek and Ottoman at different points in its history. 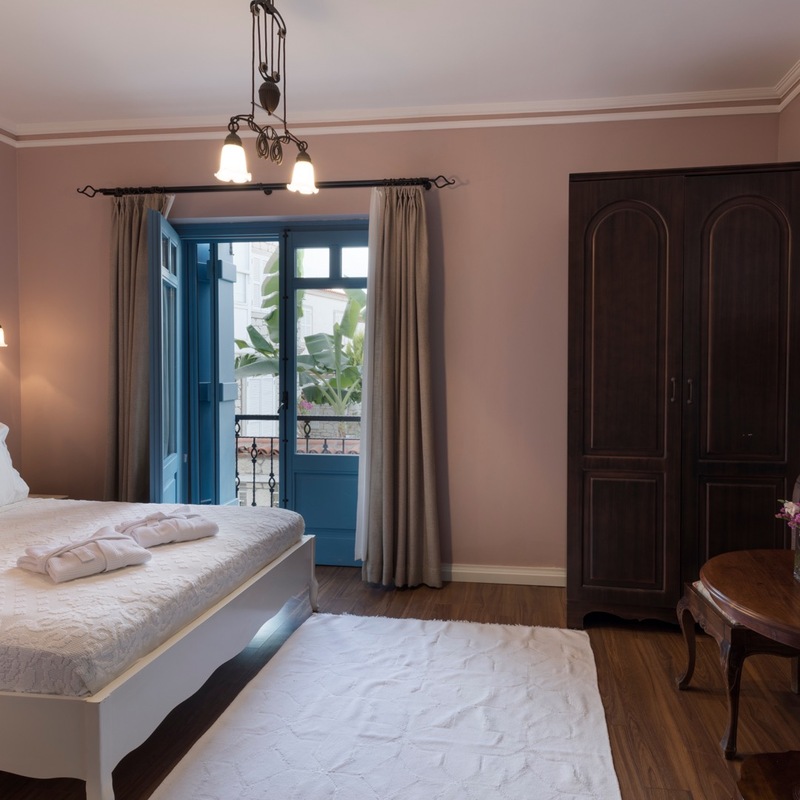 These days it’s a pretty cosmopolitan place, and it’s only fitting that one of its finest hotels should be brought to you by a family of immigrants from Greece — who thankfully expanded their color palette beyond white and Aegean blue when it came time to decorate the Viento Hotel Alaçatı. 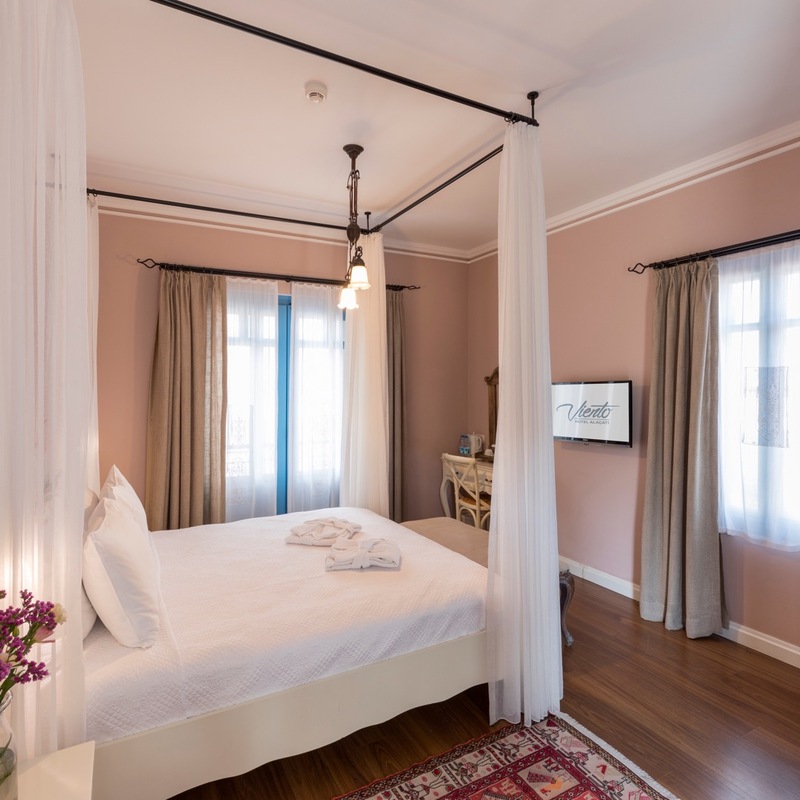 Essentially, it’s a townhouse hotel, one that’s positively dripping with charm, designed in a contemporary style but one that makes liberal use of the historical bones of the house and a well-curated selection of antique furnishings. And here “charming” and “comfortable” aren’t competing interests that must be balanced, but mutually reinforcing objectives. The kitchen serves farm-fresh fare, which is certainly no bad thing, and your hosts are only too happy to teach you everything they know about this attractively historic town — which, if you’re the windblown type, happens to be a bit of a hotspot for windsurfing, kitesurfing and all manner of water sports. 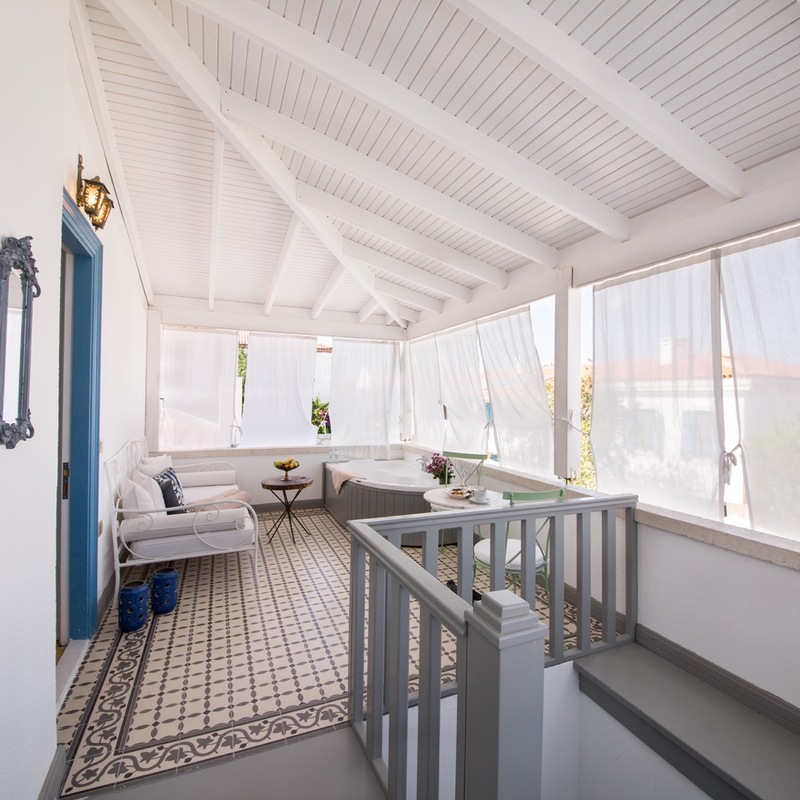 Please note: Viento Hotel Alaçatı cannot accommodate children under the age of ten. MosquitoNet, 1st QltyBathrobeSet and PillowMenu.